KANAGAWA (TR) – Kanagawa Prefectural Police are hunting for members of a fraud ring who made multiple visits to the residence in Fujisawa City of an elderly woman on Monday afternoon in swindling her out of 60 million yen, reports TBS News (Feb. 5). At around noon, the woman received a telephone call from a person posing as her son. The caller said that he needed money for a company-related matter and that a colleague would be visiting her residence. 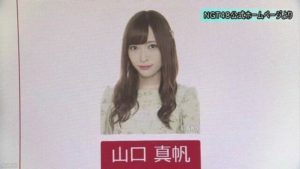 Over a two-and-a-half-hour period later that day, three members of the ring made separate visits to the residence and collected the 60 million yen in cash — in million-yen increments of 18, 16 and 26 — while posing as colleagues of her son. After contacting her son, she realized that she had been defrauded, the Fujisawa Police Station said. 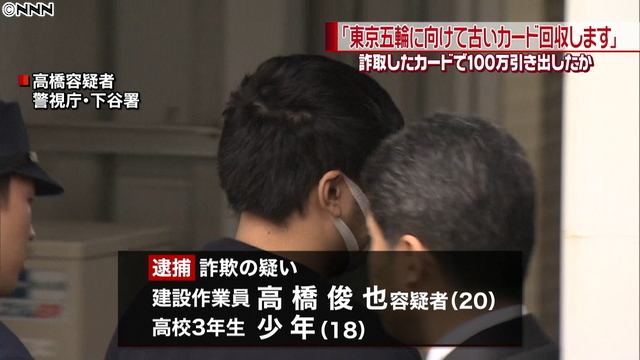 In a separate case, Tokyo Metropolitan Police arrested a 20-year-old employee in the construction industry and a male high school student over the alleged swindle of a man in Saitama Prefecture. 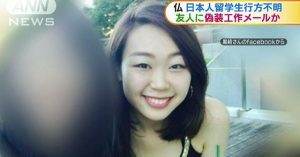 According to the Shitaya Police Station, Toshiya Takahashi, a resident of Koto Ward, and the boy, a third-year student in living in Hokkaido Prefecture, worked together to swindle of 1 million yen. 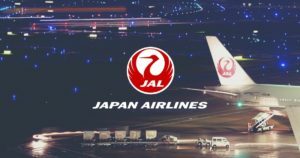 In carrying out the ruse, one of the suspects told the man that his bank card needed to be exchanged due to “coming Olympic Games in Tokyo.” After the boy collected the card from the man, Takahashi withdrew the money from the victim’s account. 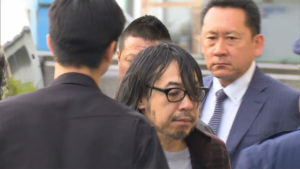 “I wanted money for playing around,” Takahashi was quoted by police in admitting to the allegations.